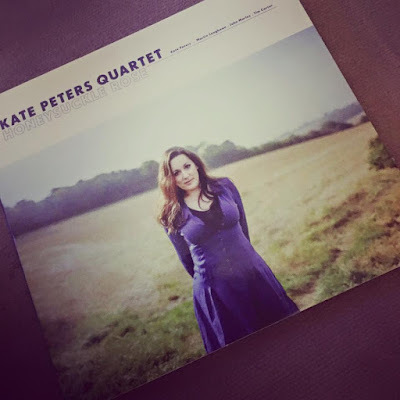 Beloved vocalist Kate Peters is launching a new album in time for Christmas with a launch gig at The Phoenix in York on December 6th. The album, Honeysuckle Rose, features 10 classic standards and Kate is joined by John Marley on double bass, Martin Longhawn on piano (and MD duties) and Tim Carter on drums. The album can be purchased through the Jazz in York website and will also be available to buy for £10 at the gig on December 6th. If you can't make it along to the Phoenix launch gig, Kate will be with Jenny Smith at Seven Jazz that afternoon (Sunday 6th), with Ian Chalk at the Watermark in Scarborough on December 13th and again at the Phoenix on December 21st. For more information, visit Kate's website.